ACE Filter Wheels – Astronomical Consultants & Equipment, Inc.
Astronomical Consultants & Equipment has been custom manufacturing filter wheels for over 20 years. We have standard designs to accommodate 25 mm, 50 mm, 75 mm and 100 mm filters. The glass filters are held in jackets that allow easy insertion and removal when on the telescope or optical bench. The jackets can be machined to accommodate both round and square filters so we can provide a solution that fits your requirements. 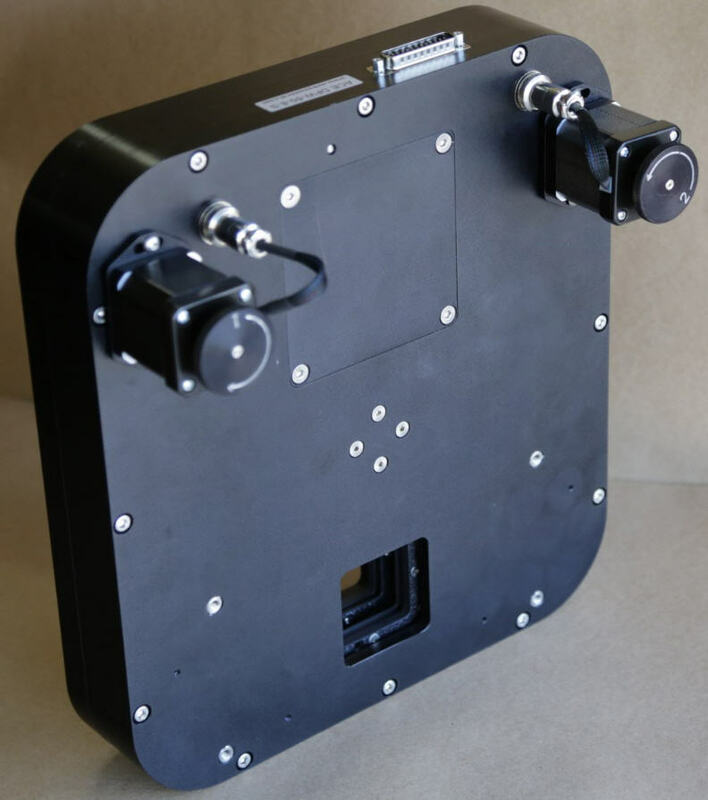 Our filter boxes are designed to take very heavy cryogenic cameras, weighing 15kg or more. The wheels deploy 40 mm bore precision ball bearing races and are locked in place by a spring-loaded detent. When the wheels are not turning there is no power on the device ensuring the best thermal conditions. Typical repeatability is less than 9 microns. This ensures the best flat fields and image processing for your data. Our software automatically installs ASCOM drivers and is compatible with any ASCOM compliant application. 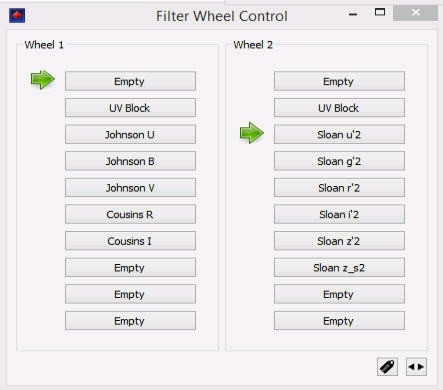 In addition we provide a command library for those customers wishing to integrate ACE filter wheels into their own custom software. Communication is by TCP/IP or by serial port.